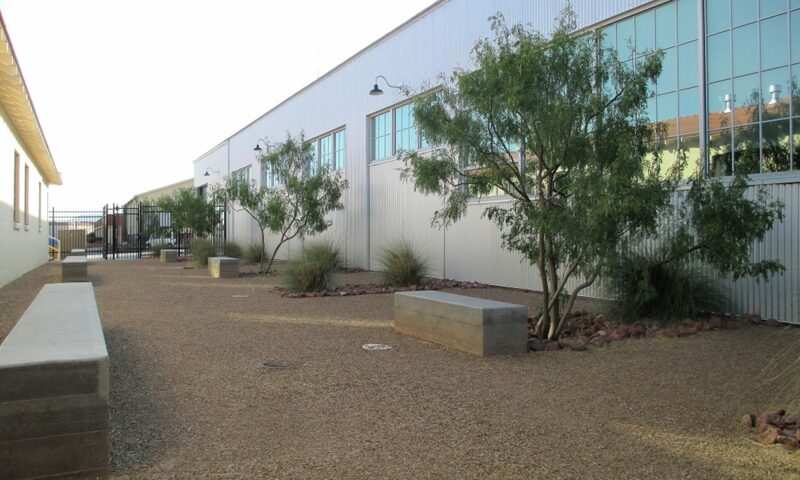 On my first morning’s walk, I found no fresh croissants or anything baked at Farmstand Marfa. Not in the mood for tamales at breakfast either. 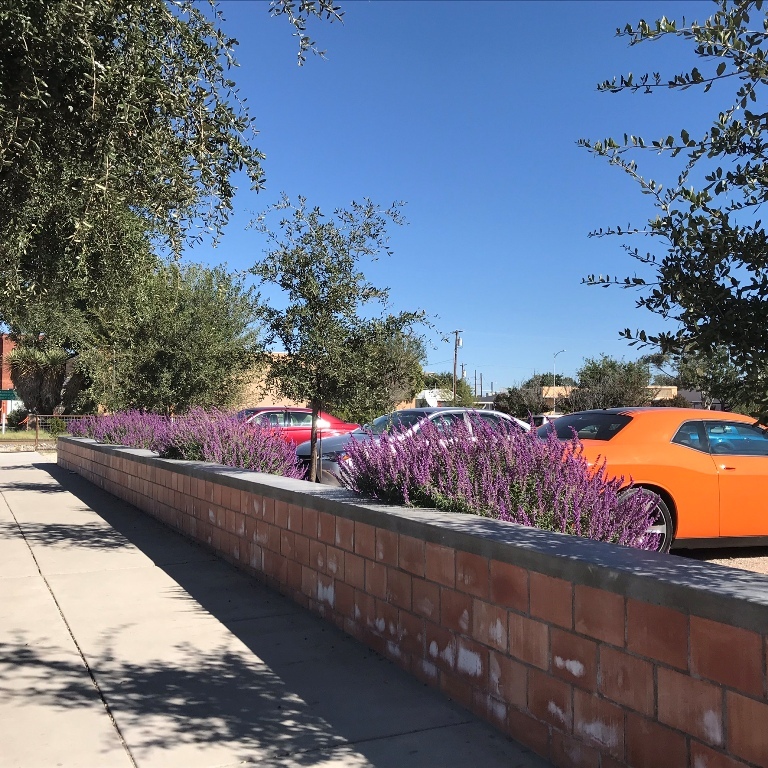 This car and the wall with evenly-spaced Salvia plants compensated. 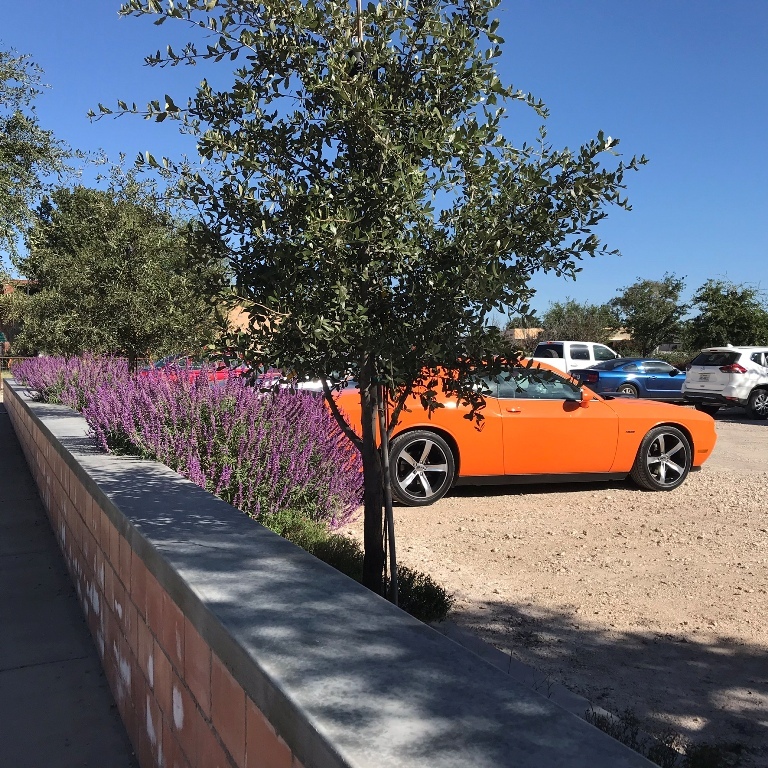 I like the car’s color, though I often see drivers of these Chargers act like too many who have European sports cars and SUVs…no turn signal, cutting corners, and all things offensive. But for this post, I’ll trust they’re much better than that! 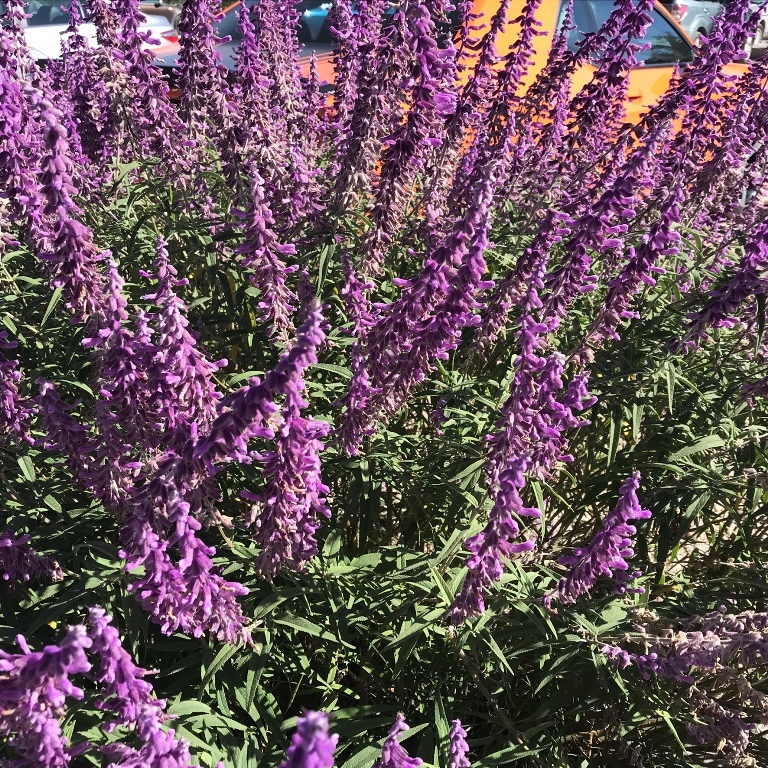 Any ID on this Salvia? Anyone? Email me if you know! Salvia penstemonoides was one guess emailed to me, but that one’s flowers are reddish. 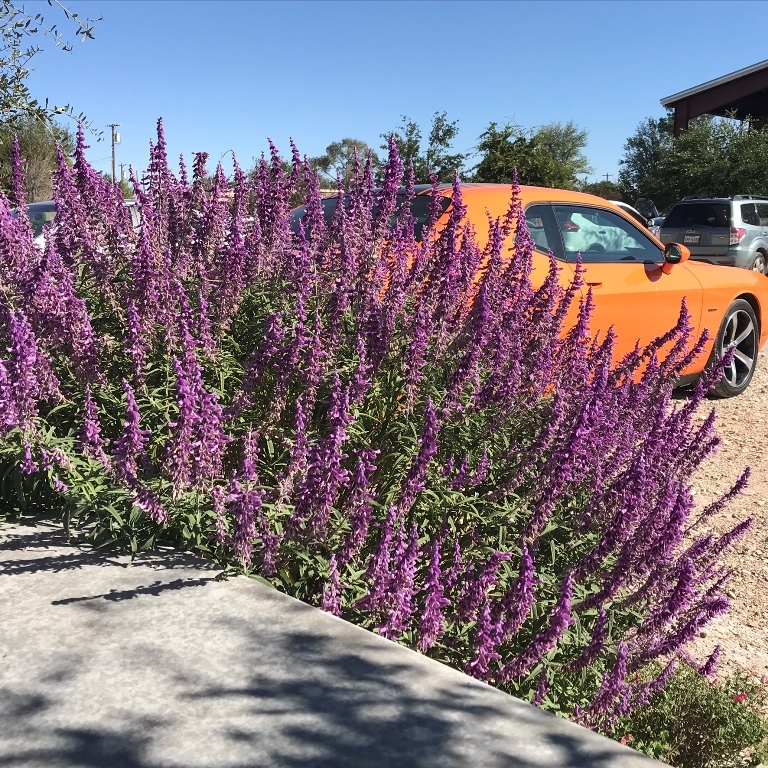 Another online search reveals this could be a variety of Salvia leucantha / Mexican Bush Sage. Given the garden wall is about 36″ tall including the cap, my vote is it is not one of the dwarf varieties.